The Healthy Paws Rescue Race is a charitable initiative founded by the Healthy Paws foundation that supports multiple nonprofit organizations who help homeless pets. After an online "race" over two weeks, we award grants to all six organizations that range from $5,000 to $20,000 based on their number of votes ($70,000 total per race). Learn about our previous participants below. 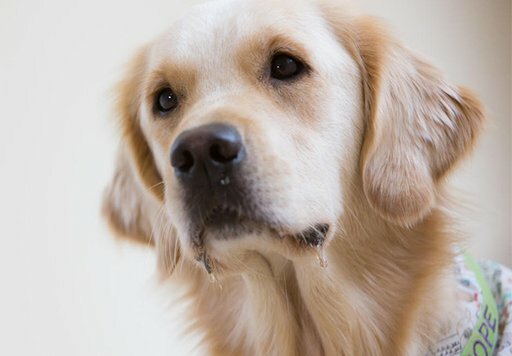 K-9 Lifesavers is a volunteer, non-profit rescue, dedicated to saving the lives of homeless and abandoned dogs from high-kill shelters and high-risk situations in Alabama, Georgia, West Virginia, the Carolinas, Tennessee, and Kentucky. The grant money will be used to treat critical care dogs as well as provide standard veterinary care. Lollie came to K-9 Lifesavers with an injured front leg that was missing its paw, another leg with ligament and tendon damage, heartworm disease and five puppies in tow. After a vet visit they determined they had to amputate her right leg, begin hydrotherapy, get a brace for her left leg, and implement heartworm treatment. 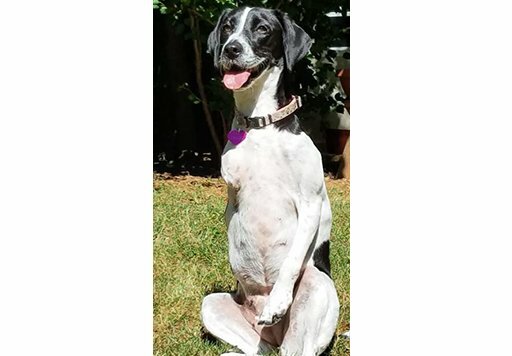 She was placed with a loving foster family to help her transition into being a “tripod,” and it didn’t take long before the family (with four dogs already) fell in love with Lollie and adopted her! 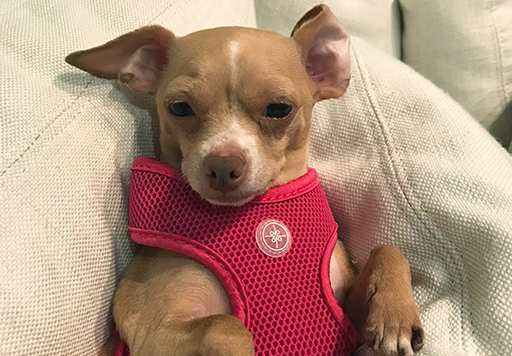 She is still being treated for heartworm disease and has a little trouble walking, but Lollie is a true fighter; her family calls her their warrior princess and she’s won the hearts of her doggy brothers, who help her gain confidence every day. Her new pet parents have even gotten her a prosthesis to help relieve the weight she bears on her left side, and they (and we) think she’s a true inspiration. Woof Gang Rescue is a no-kill, volunteer-run rescue organization serving Wisconsin, Illinois, Kentucky and Indiana. They focus on dogs at risk for euthanasia, owner surrenders, and those in danger of abuse or neglect. The Healthy Paws grant will assist in vetting incoming dogs and help with urgent medical needs. 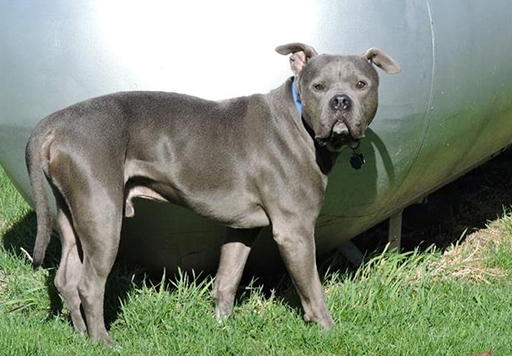 Buffalo was found in Chicago as a stray, frozen to the ground in the middle of January. 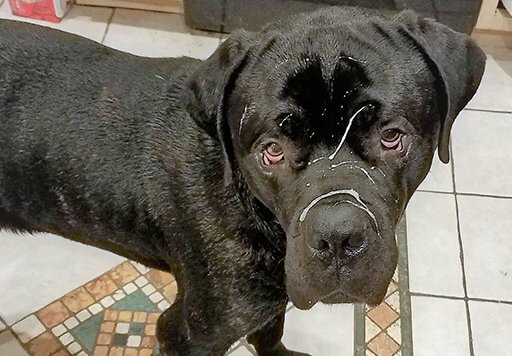 Rescuers used hot water to loosen his body before he could be transported to Chicago Animal Care and Control (CACC), where Woof Gang Rescue was connected with him. Buffalo received extensive medical care for trauma, pneumonia, and flu before being adopted to his forever home. He now has two human siblings and just last year, he also gained a furry sister from Woof Gang. Greyhound Friends of New Jersey (GFNJ) is dedicated to placing retired racing greyhounds into responsible, loving homes. While GFNJ is predominantly a greyhound adoption group, they also help non-greyhounds in need of rescue from high-risk situations by providing them with a safe haven. 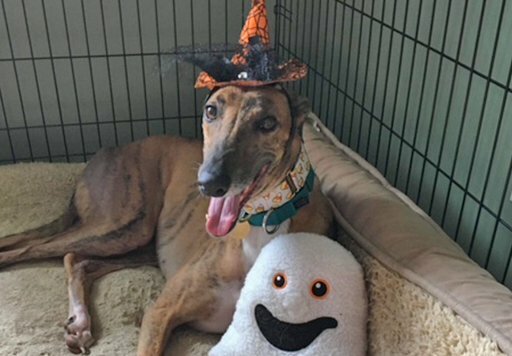 Apple Jack (Apple) is an adorable, sweet greyhound who came to Greyhound Friends of New Jersey (GFNJ) from a Florida racetrack at the age of two. Apple tragically broke her leg in her last race, and while the racetrack veterinarian cast her leg, it appeared to be unstable when she arrived in New Jersey. After further evaluation, vets determined that bone fragments were causing issues in the leg. She underwent physical therapy, and recovered. A GFNJ favorite, Apple was adopted by a loving family who also has another greyhound. Pacific Pug Rescue is a volunteer organization in the Pacific Northwest rescuing pugs who have been surrendered or abused, regardless of age or condition. They provide fosters, forever homes, and medical care. The grant money would be used to pay medical costs for pugs in their care. 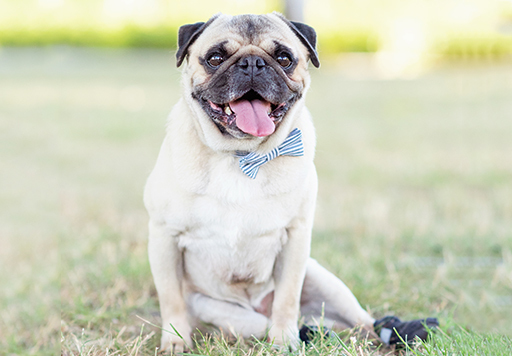 Pacific Pug (PP) rescued a 3-year-old pug named Hank living in a transitional housing community who was injured; he was paralyzed, in excruciating pain, and the vet’s prognosis was grim. 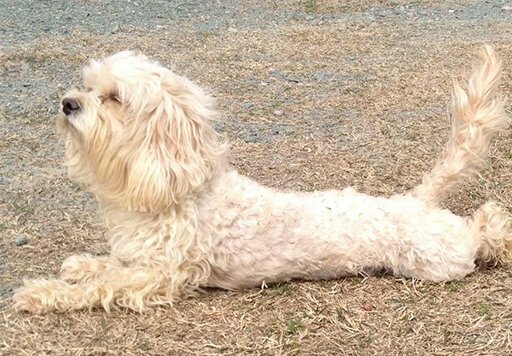 The vet tech on duty changed Hank’s fate; with her help, they visited a neurologist and discovered that he had an infection causing his paralysis. After antibiotics and physical therapy, the vet tech adopted him from PP. Today he is a healthy, happy boy and just recently went for his first run on the beach! 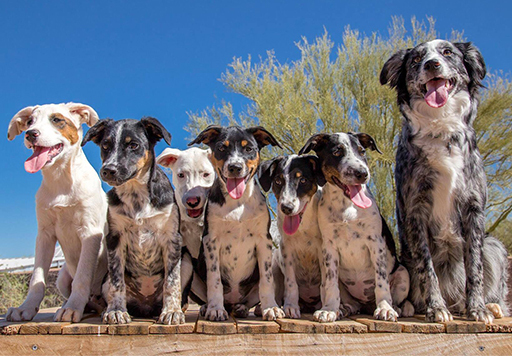 Arizona Cattle Dog Rescue (ACDR) is a non-profit who rescues and re-homes Australian Cattle Dogs in AZ. ACDR fully vets every rescue, including spay/neuter, vaccinations, and treatments for unique conditions or injury. Grant money will help to cover these expenses. Arizona Cattle Dog Rescue (ACDR) supporters Kathleen and Doug were on their honeymoon when they discovered seven abandoned, starving dogs deep on a hiking trail in Navajo National Monument Park. Without any lost-dog posters nor inquiries logged with the rangers, the duo brought the pups to ACDR. All were entered into foster care and Luna was adopted by her rescuers! Saving Grace Rescue is a non-profit organization focused on rescue and adoption of special needs and neonatal kittens. One hundred percent of their intake is pulled from euthanasia lists and high-risk shelters. The grant money will fund medical care for the incoming kitties. 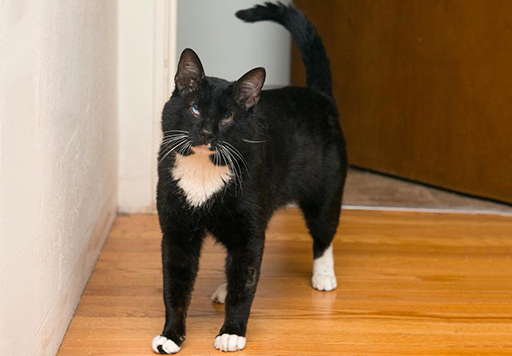 Bernie was brought in to a high-risk shelter as a young adult male with a serious hind leg injury, a heart murmur and a genetic condition that caused him to be nearly blind. Despite clearly having a rough start, he had an incredibly sweet and mellow personality. His kitty soul touched the shelter staff and they reached out to Saving Grace, knowing he was an unlikely candidate but wanted him to be rescued. After three successful surgeries, Bernie found a forever home with two other kitties and a human family who even has a pillow sewn just for him! Congratulations to Shadow's Fund! They've been awarded the largest grant of $20,000. 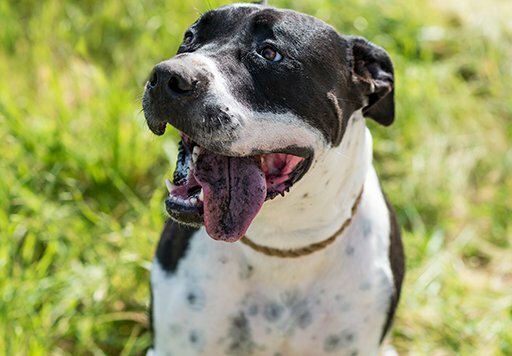 Shadow's Fund is dedicated to helping the most vulnerable shelter dogs find hope and a second chance. They're excited to use the grant money to support the operation of their sanctuary and the care of their animals, giving all dogs the chance they deserve. Klifford spent his first 5 years with a homeless person. He lived a life on the streets and slept beside his best friend each night. 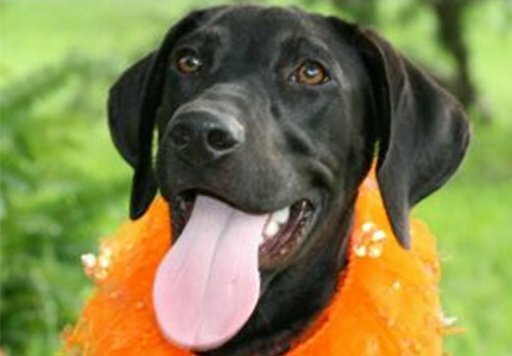 Eventually, his friend chose a treatment path that Klifford could not follow and he ended up in a local animal shelter. His chances for adoption were slim so Shadow's Fund brought Klifford to their sanctuary, which was created for dogs that need a second chance. Here, Klifford would learn the joys of playing with other dogs and meeting new human friends but they all wondered if Klifford would ever bond with another person. Then one day came an email addressed to Klifford that made everyone laugh and consider that maybe this was it! The family had 2 dogs to play with, 17 acres and plenty of steak to share. "Tell him to give us a call if he's interested". Needless to say, he was. Life today for Klifford includes chasing squirrels across the ranch, afternoon naps on the sofa, plenty of steak, and a new best friend! Pug Nation Rescue of Los Angeles receives the runner-up grant of $10,000! Dedicated to the rescue, care, and placement of abandoned, neglected, and abused pugs, Pug Nation is excited to use the grant to pay for vet treatments, medicine and loving care at their "Pug Station" in Los Angeles, CA. 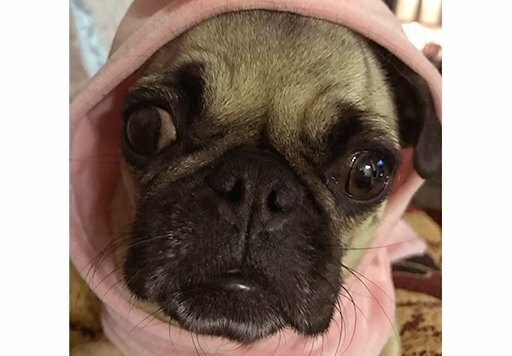 Elsa came to Pug Nation after being hit by a car and her owners couldn't help her. When Pug Nation picked her up, the poor girl was in tremendous pain from injuries and internal damage. She needed surgery and physical therapy to regain the ability to walk. They started doing light water physical therapy with her at the station in their dog bath, and this brave little girl started not only standing but took a few steps. Miraculously, she can now walk, even trot and is doing great! She was adopted, and transformed from a little, broken body to a beautiful girl full of personality and life! She is absolutely loved and cherished in her forever home. Dogs2DogTags rescues shelter dogs and trains them to be companion/service animals, then pairs them with Veterans suffering from PTSD, free of charge. They provide health checks, spay-neuter and comprehensive training. Grants allow them to save more lives, both dogs and Veterans. US Veteran Nate wanted a dog to fish, camp, and hunt with, and also help with his effects of PTSD and social anxiety. Dogs2DogTags provided him with Anna, a 6-year-old female Lab, who is loving and calm, and it was love at first sight! Today they are inseparable, and Nate is even planning on taking other Vets on hikes and camps with Anna, to show the positive effects that a dog (and the outdoors!) can have on those suffering from PTSD. Devoted to the rescue and placement of dogs rescued from high kill shelters in the U.S. and overseas, OPH is a volunteer-run organization reliant on foster homes. They will use the grant to improve their foster program and develop a rehabilitation program for pups. Major was found chained outside and neglected, heartworm positive and 40lbs underweight. He was rescued and brought to a shelter, but escaped and ran 26 miles in freezing weather, back to his original home, just to be betrayed and surrendered again. OPH’s foster home helped nurse Major back to health, and then found him a forever home where he’s safe and warm. His new parents say he is a loving slobbery boy who is great with family and visitors! The Cat’s Meow is the largest all-volunteer feline rescue organization in LA and Dallas. Grants help to perform over 3000 spays and neuters, to curb overpopulation of cats and kittens in these areas, which reduces euthanasia rates in shelters. 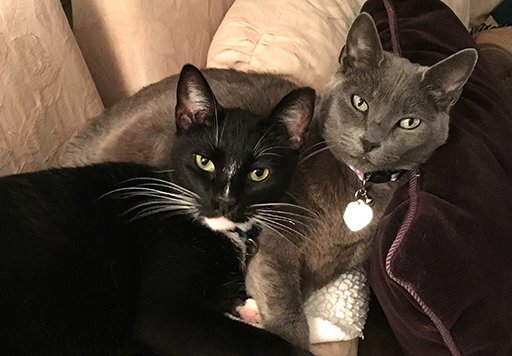 Martin and Kylie were rescued from a hoarding situation, where they lived with over 100 cats in a small room. Cat’s Meow helped find them a foster home that later became their forever home, where they got to truly blossom! 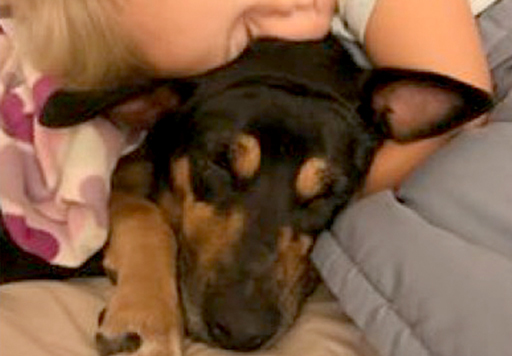 After they were adopted, their pet parent was diagnosed with cancer. The two stayed by her side with snuggles and kitty kisses, offering precious emotional support until she was completely cancer free. The UAAC’s mission is to eliminate euthanasia of healthy, adoptable dogs and cats through rescue, spaying and neutering, education and adoption. Their commitment to each animal is life-long. Grants fund surgery, vaccinations, and a variety of other common (sometimes unique) needs. Frankie is a big lug of a Pitbull, bull-headed and strong, that was at UAAC for almost 2 years. He was adopted out twice before finding the right fit and his forever home. One night, Frankie's dad fired up his wood stove and fell asleep with the stove door open. As Frankie was barking and frantically pulling his dad, he finally woke up to find the entire home caught on fire! Frankie and his dad made it out alive with a few burns. The Milo Foundation rescues at-risk animals and matches them to homes that will provide lifetime care and rehabilitation to those who need it. They offer sanctuary to those who are not placed and educate about responsible pet parenting (including spay/neuter). After the Northern California fires, the community came to help the Milo Foundation. Little Girl Momma had been continuously overlooked due to a congenital condition, but has now found her forever home with a big family. She’s awaiting the surgery her family has scheduled to ensure her prance will represent the radiance of her spirit! 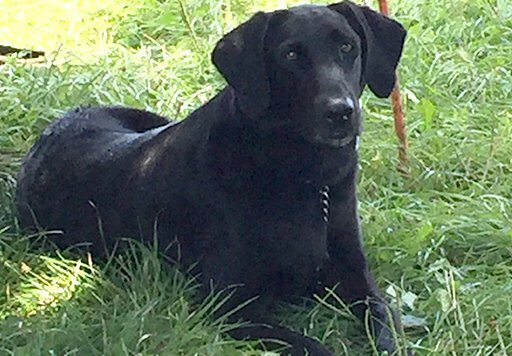 This Connecticut-based non-profit is dedicated to giving a new life for rescued or displaced Labrador Retrievers. They will use the grant money to cover the veterinary costs of spay/neuter, vaccinations, and heartworm testing and treatment. Newman, an 8-year-old Labrador retriever, was placed as a puppy at a drug and alcohol rehabilitation halfway house for homeless military veterans. He quickly became the center’s “house dog” with the important job of bonding with residents during their recovery. 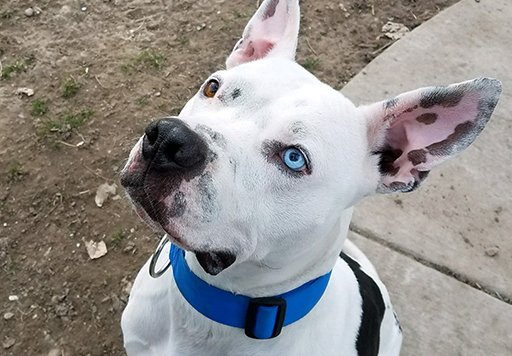 Abandoned Animal Rescue (AAR) is an adoption shelter, an affordable spay-neuter clinic, a wellness center, and handles community education outreach. The grant would provide construction help as well as the purchase of a deep freezer (for some peanut butter Kongs for pups at night!). Assistance Dogs Northwest is a nonprofit organization that provides specially trained dogs to people with physical disabilities and other special needs. North Carolina's only no-kill, nonprofit animal shelter, Carolina Animal Rescue & Adoption (CARA) houses 23 dogs and 27 cats. They rely solely on donations, grants and fundraising to support medical care and shelter. With the grant money, they would add a kitten room to their cattery. 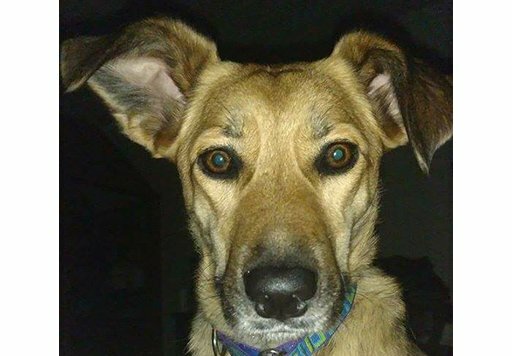 Sadie, rescued from a hoarder, was very shy when adopted and unfortunately, ran away. After weeks of searching, she was found with many injuries, one requiring a leg amputation. When she saw her foster mom, she lit up with love. Her foster home became her forever home, and she now lives in the country and runs as though she has four legs! Copper Country Humane Society (CCHS) is a Michigan no-kill shelter that assists other shelters in their state. The grant money would be used for life saving endeavors, such as urgent medical care or taking in dogs and cats that have run out of time in a different shelter. Morgan was rescued after being found starved in an extremely poor living situation. Years of neglect and abuse had almost killed Morgan, however she pulled through! Her forever family says that she’s an absolutely wonderful and spunky addition to the family and she loves the small-town life. With every free quote for pet insurance Healthy Paws donates money towards a homeless pet's medical care, via the Every Quote Gives Hope program.